From the Booker Prize-winning, bestselling author of Possession: a deeply affecting story of a singular family. When children’s book author Olive Wellwood’s oldest son discovers a runaway named Philip sketching in the basement of a museum, she takes him into the storybook world of her family and friends. But the joyful bacchanals Olive hosts at her rambling country house—and the separate, private books she writes for each of her seven children—conceal more treachery and darkness than Philip has ever imagined. The Wellwoods’ personal struggles and hidden desires unravel against a breathtaking backdrop of the cliff-lined shores of England to Paris, Munich, and the trenches of the Somme, as the Edwardian period dissolves into World War I and Europe’s golden era comes to an end. 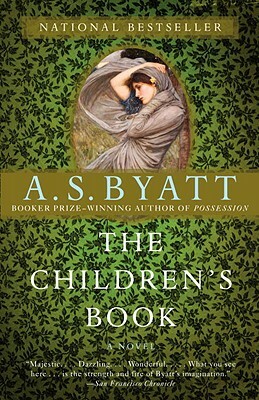 A. S. Byatt is the author of numerous novels, including the quartet The Virgin in the Garden, Still Life, Babel Tower and A Whistling Woman; The Biographer’s Tale; and Possession, which was awarded the Booker Prize. She has also written two novellas, published together as Angels & Insects; five collections of shorter works, including The Matisse Stories and Little Black Book of Stories; and several works of nonfiction. A distinguished critic as well as a novelist, she lives in London.